Up in the fields, just called 1 and 2 for now, is the beginning of our project. It is an exciting prospect. 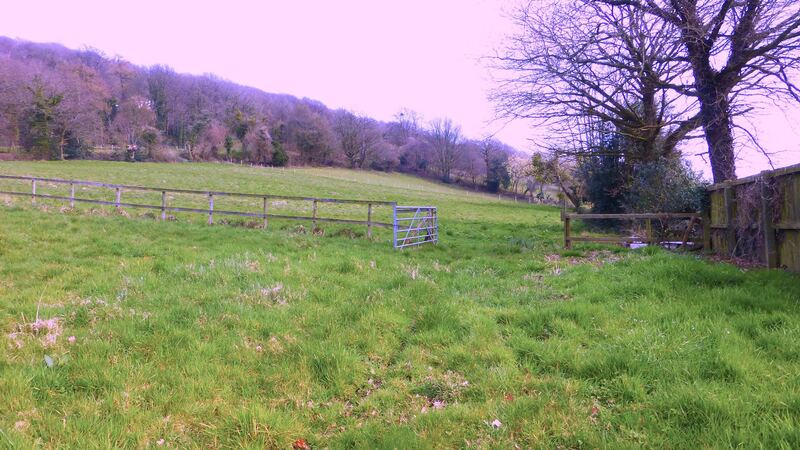 The fields are behind the property, just over 2 acres in total, 3 if you include the garden around the house. The land faces South/South East and faces the sun all day. 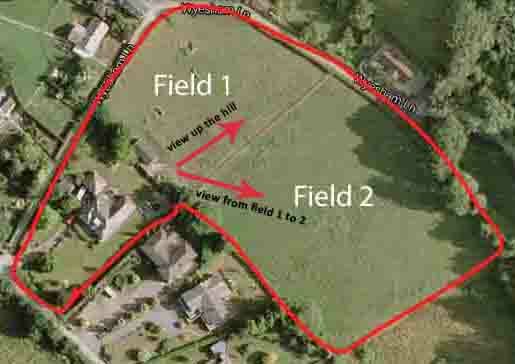 It is laid to grass at present and was previously paddock. In the past it has been farmed as a market garden. 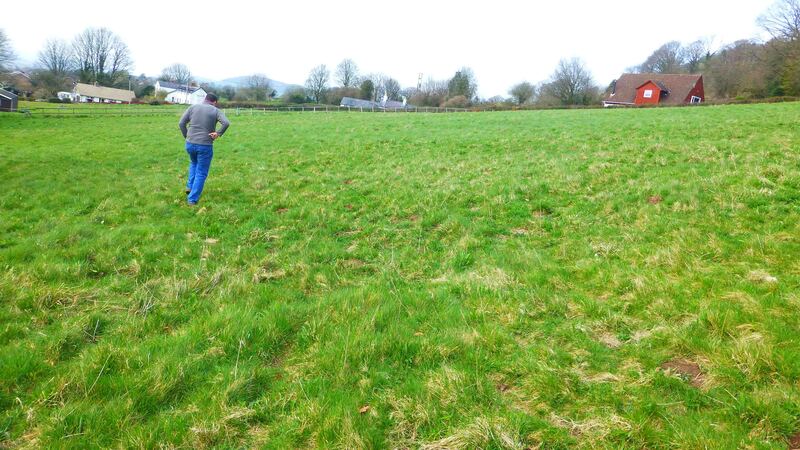 The grass was quite short, although wet and boggy in places after the very wet winter in 2014. 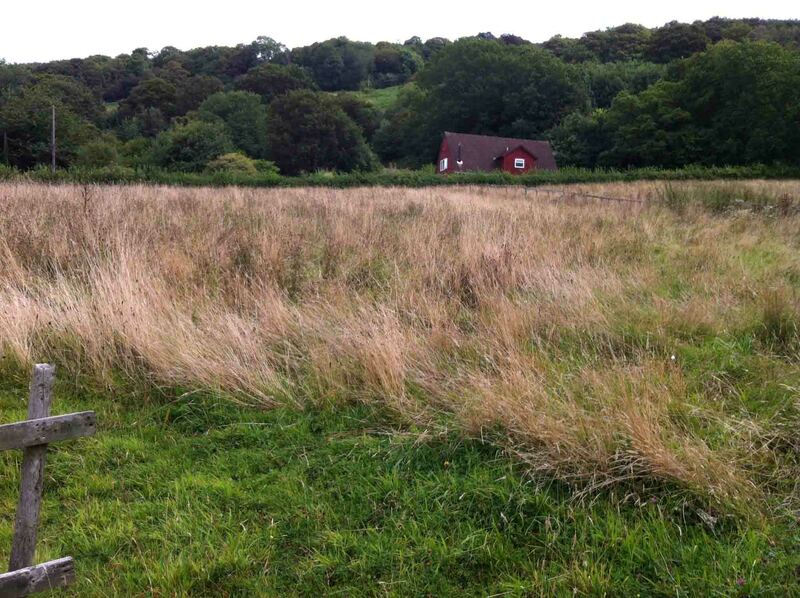 The fields dried up well during the summer months but the vegetation then began to grow rapidly over the summer. This made it impossible to walk in, as much of the vegetation had reached waist height. 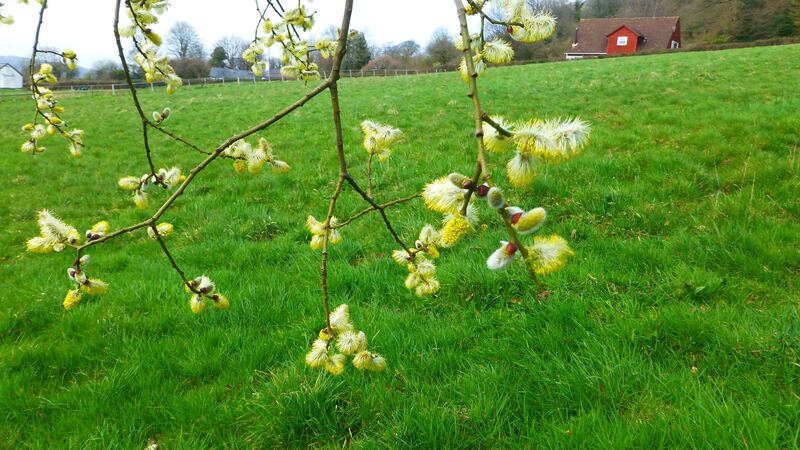 The photos below are interesting because we can compare the differences in appearance in Spring, Summer and Winter. All hedges around both our fields were very thick, long, and very overgrown as they had not been cut for about 18 months. Eventually, after conversations with neighbours, we discovered someone who had a tractor and hedge attachment, and who had cut the hedge for the previous owner. 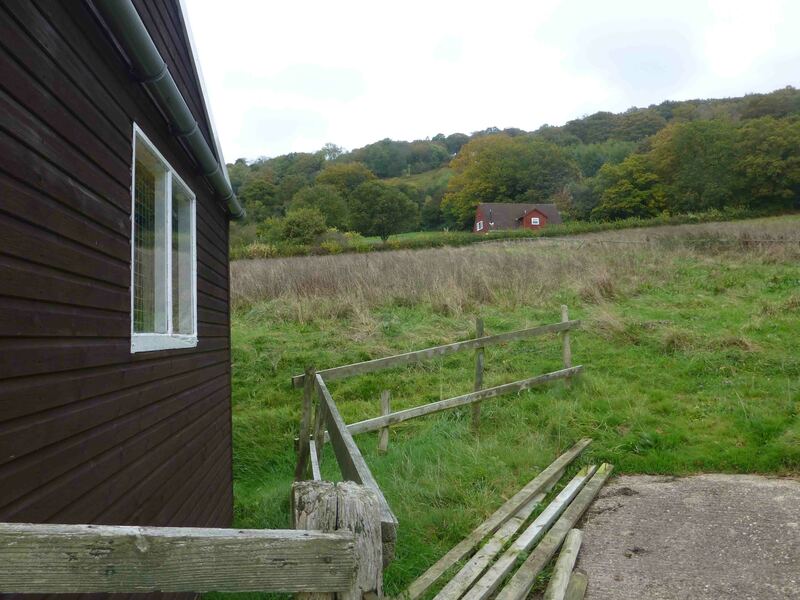 We booked him up to come and cut it all for us, including the lane side which was blocking the view of neighbours up the hill as the hedges had grown so long. 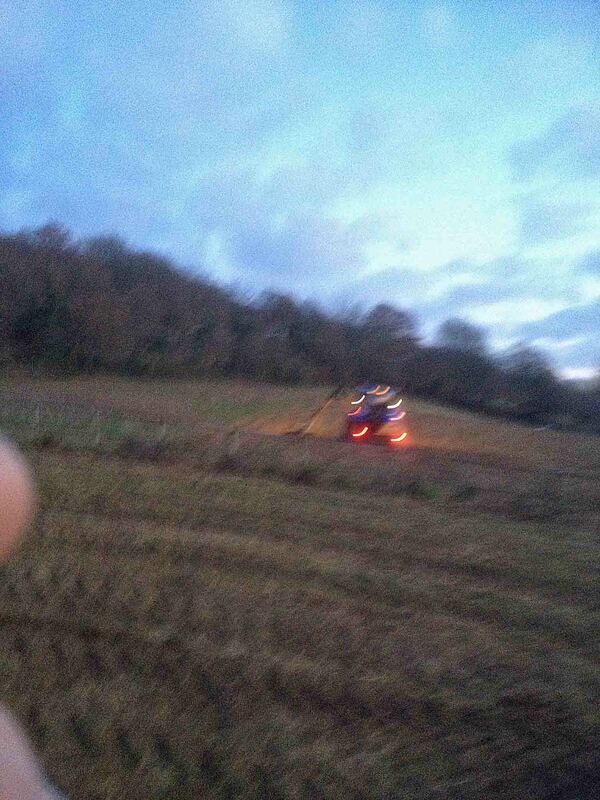 Nothing more was done in the fields until the farmer arrived to do this in December. 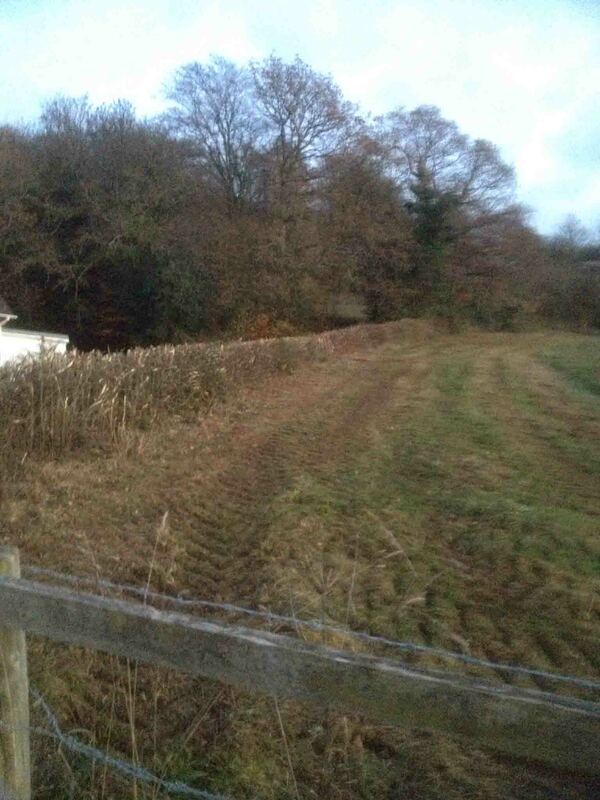 The following photos are not the best quality as they were taken in fading light but are all part of the process of managing the fields and hedges. 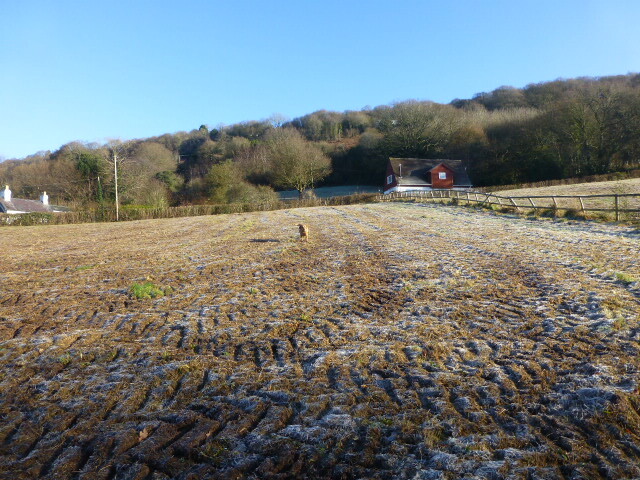 So by Christmas 2014 the fields and bordering hedges were in a manageable state. Now to put our mark on the land …. Starting from scratch will be hard work. We’ve got a long way to go and lots to learn. But I’m sure the feeling of satisfaction as we develop our land will be hard to beat. Not to mention the health benefits of exercise and fresh air. Broad beans were planted late this year, April 16th 2018. The ground was very wet. Aqua dulce is the variety. A lot of slug pellets were needed around the emerging plants. Also to try and keep the black fly off they were covered in fleece. Date of photo of beans covered in fleece.- 28th May 2018 – Hoops and garden canes were used to hold the fleece above the plants and pegged down along the edges. Ready for the pot! And some to be blanched and frozen. 10lbs in total of podded beans.